This monster is a fusion of Cyber Dragon, Cyber Dragon Zwei and Cyber Dragon Drei. 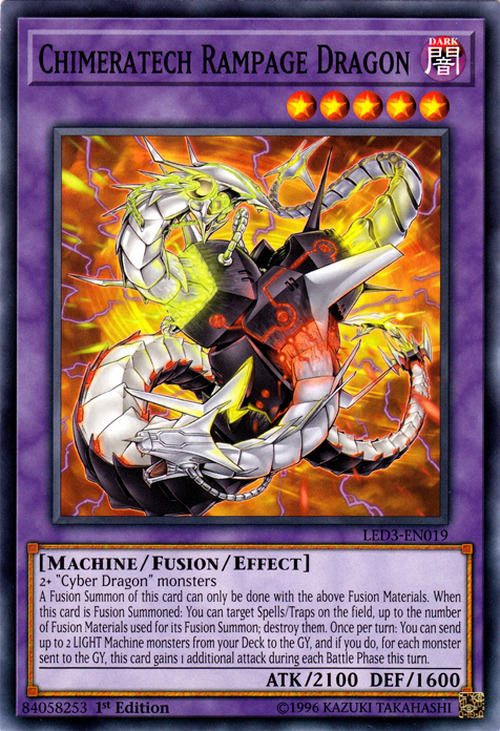 Which, in a way, can make this card an alternate version of Cyber End Dragon as each of the above cards can be treated as (or, in the case of Cyber Dragon, is) Cyber Dragon. This card is the first Chimeratech monster to appear after Yu-Gi-Oh GX.